From Goodreads ~ London, 1947: Besieged by the harshest winter in living memory, burdened by onerous shortages and rationing, the people of postwar Britain are enduring lives of quiet desperation despite their nation’s recent victory. Among them are Ann Hughes and Miriam Dassin, embroiderers at the famed Mayfair fashion house of Norman Hartnell. Together they forge an unlikely friendship but their nascent hopes for a brighter future are tested when they are chosen for a once-in-a-lifetime honor: taking part in the creation of Princess Elizabeth’s wedding gown. 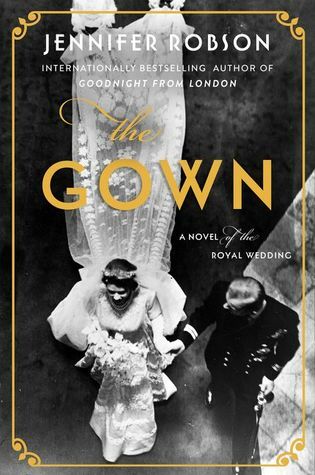 With "The Gown", Jennifer Robson takes us inside the workrooms where one of the most famous wedding gowns in history was created. Balancing behind-the-scenes details with a sweeping portrait of a society left reeling by the calamitous costs of victory, she introduces readers to three unforgettable heroines, their points of view alternating and intersecting throughout its pages, whose lives are woven together by the pain of survival, the bonds of friendship, and the redemptive power of love. In London in the winter of 1947, the war is over but residents are still rationing and goods are scarce. Ann has been working as an embroiderer at the fashion house of Norman Hartnell. She is sharing a council house with her sister-in-law, Milly. Miriam is from France and lost her family in the holocaust. Looking for a new start, she moves to London and gets a job as an embroiderer, working with Ann. 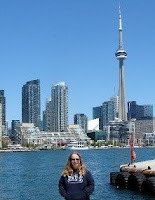 When Milly moves to Canada to be with family, Miriam becomes her roommate. Norman Hartnell is the official dressmaker to the Royal Family and it's quite exciting when he is assigned the task of designing and creating Princess Elizabeth's wedding dress along with her bridesmaids. As senior embroiderers, Ann and Miriam are part of the project. Everyone wants to know the details of the dresses and the employees of Norman Hartnell are soon being hounded by reporters. Seventy years later in Toronto, Heather's grandmother, Ann, passes away. As they are going through her things, a box has Heather's name on it and inside is a sample for Princess Elizabeth's wedding gown. That's when they realize that Ann must have worked on the dress, which is a surprise to them. Heather travels to London to see what she can learn about her grandmother's past. Though it is about the making of Princess Elizabeth's wedding dress, the real story in this book is Ann and Miriam and their lives. The book is written in third person perspective with a focus on Ann, Miriam and Heather (their chapters are labeled with their names). As a head's up, there is a violent scene towards the end. There was an interesting mix of fictional characters (like Ann and Miriam) and real people (like Norman Hartnell and Christian Dior) interacting with each other. And it was interesting to read about what life was like in the late 1940s after the war as London tried to recover. I found it odd that Heather and her mother (Ann's only child) knew nothing about Ann's past before she moved to Canada. And the mother mentions a couple times that she never thought to ask. Really?! I also thought it was strange that as close as Ann and Miriam were (not just colleagues but also friends and roommates) that they didn't keep in touch when Ann moved to Canada. Milly was able to send Ann packages but Ann and Miriam couldn't send each other letters?